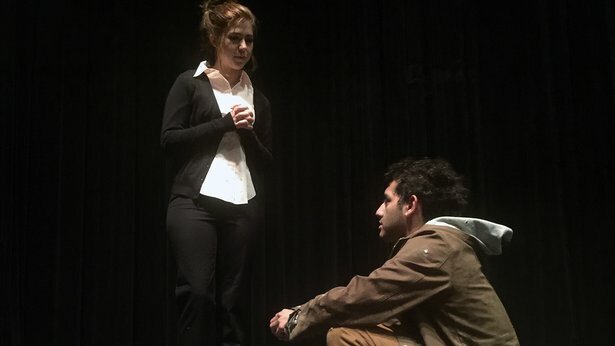 WTAMU's "Brooklyn" continues through Sunday. Art, jazz, haunted houses and some "magic" (read: nearly naked) men: All this and more is headed your way this weekend through Oct. 13. TheatreAC opens its season with the thriller King of Shadows, a 2009 drama by American playwright Roberto Aguire-Sacasa to be staged at 7:30 p.m. Thursday through Saturday and 3 p.m. Sunday in the Amarillo College Experimental Theatre. The four-person drama has an unexpected connection to a classic comedy, a fact I danced around in my preview. First Friday Art Walk at the Galleries at Sunset Center, 3701 Plains Blvd., is set for 5 to 9 p.m. Friday. Most of the artists are expected to display new work, and the walk will feature the openings of at least two new exhibitions: Jim Harter: Retrospective will be on view in the Creative Research Lab, Suite 3, and Stephen Frish: Outside Looking In will be on view in the West Texas A&M University Experimental Gallery, Suite 66. Harter, a graduate of the then-West Texas State University, was a San Antonio artist (and brother of Amarillo's Barbara Whitton) who was inspired by both the Old Masters and psychedelia. Frish, father of WT art professor Scott Frish, was a Minneapolis art director and watercolorist. For more, see my preview story. West Texas A&M University's run of the contemporary musical Brooklyn continues with performances at 7:30 p.m. Thursday through Saturday and 2:30 p.m. Sunday in the Happy State Bank Studio Theatre on the Canyon campus. I caught the show last weekend and, to be honest, enjoyed it more than I expected. I was not a fan of the original cast recording and, frankly, the whole concept seemed more than a bit twee. 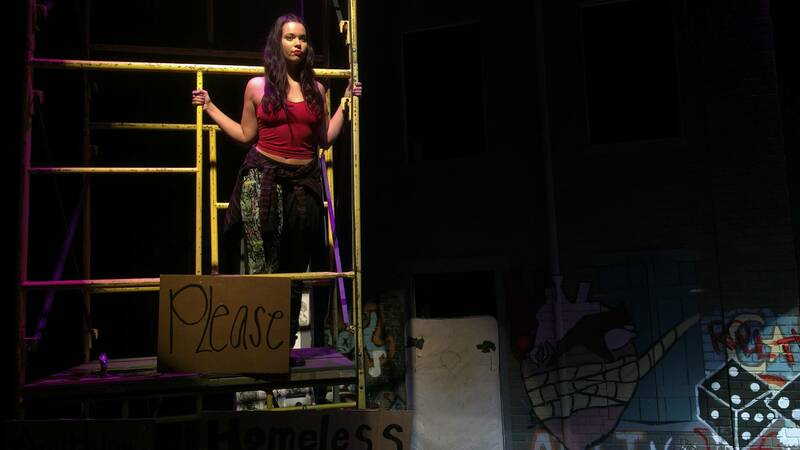 A homeless urchin skyrockets to fame as a singer while searching for her long-lost dad? Not for me. But the performances and the staging quite outweighed my dislike of the material. And it seems to have struck a chord: Tickets are limited for the remainder of the run. For more, check out my preview. Chamber Music Amarillo opens its Jazz on 6th concert series with a performance by The Martinis at 8 p.m. Friday in the Fibonacci Space, 3306 S.W. 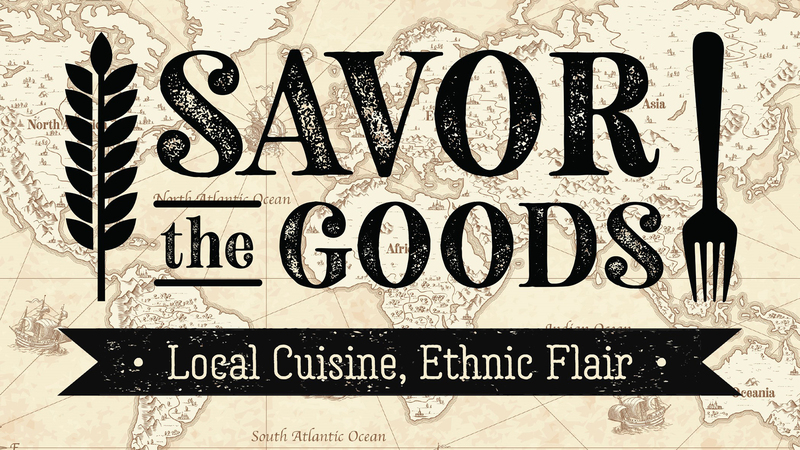 Sixth Ave. Tickets are $15, and patrons are invited to bring snacks and wine (or other beverages) to the casual event. Call 806-236-3545. CMA also will collaborate with Amarillo Museum of Art for the museum's 22 Hundred event at 8 p.m. Saturday. Pianist David Palmer and violinist Annie Chalex Boyle will perform Fratres by Arvo Part, Imagining Annie by John K. Boyle Jr. (Chalex Boyle's husband) and Birds in Warped Time II by Somei Satoh in front of Plexus No. 33, the string installation by Gabriel Dawe. Mary Emeny also will read poetry by her late husband, Hunter Ingalls. Admission is $10 or free for AMoA or CMA members. Call 806-371-5050. About a dozen area and regional artists will display their works in homes and businesss in Spearman for the annual Barkley Street Art Walk, set for 5 to 9 p.m. Saturday. Featured artists include Cassie Beckwith, Kader Boly, Scott Carlson, Mika Devaney, Josh Hogge, John Holt, Callie Hensley, Ginger Nelson, Anna Reeves, Joshua Sorenson and Marilyn Yanke, as well as students from Spearman and Gruver high schools. Tickets are $10 for the walk and $25 for a champagne reception. Call 806-681-9977 or visit www.highplainsobserver.com. 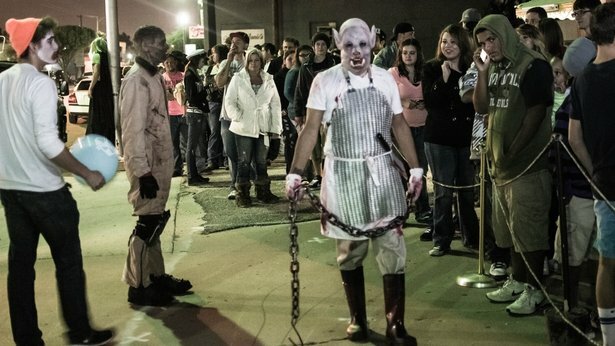 6th Street Massacre and other haunts are open for the Halloween season. Amarillo Scaregrounds, which boasts five different haunts at 2736 S.W. 10th Ave., will be open from 7 p.m. to midnight Friday through Sunday, then Oct. 14-5, 21-22 and 28-31. 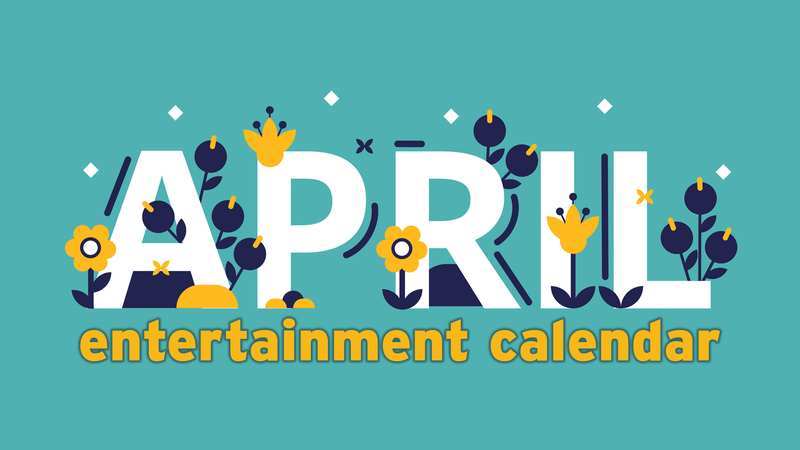 The haunts include Terror ($15 admission), Insanitarium ($15 admission), The Basement ($20 admission), a blackout maze ($5 admission) and the Zombie Apocalypse Training Center ($5 admission). Admission is $35 for all or $50 for an all-night pass. 6th Street Massacre, 3015 S.W. Sixth Ave., is from 7 p.m. to midnight every Friday and Saturday in October, plus Sunday and Oct. 31. Admission is $20 or $25 for a fast pass. Maxwell's Country Family Fun & Maze is open through Oct. 30. The fall's family-friendly farms are in full swing. Maxwell's Country Family Fun & Maze is located at 12908 S. Bell St. and is open 5 to 9 p.m. Fridays, 10 a.m. to 9 p.m. Saturdays and 1 to 9 p.m. Sundays through Oct. 30. It features more than 80 acres of mazes, games, hayrides and more. Tickets are $14.95 (plus tax) including unlimited rides on the ziplines or $11.95 (plus tax) without. Call 806-373-9600. 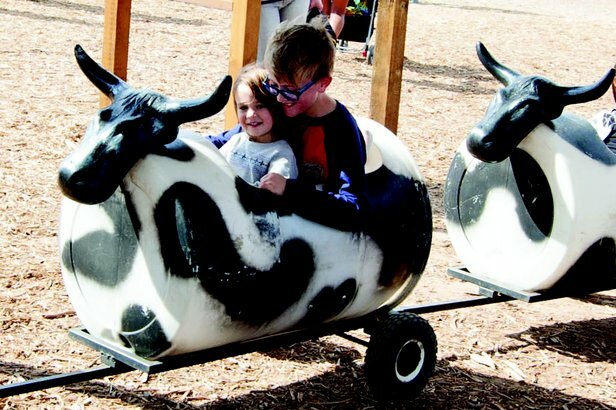 Gee Family Farm, located at Loop 335 and South Whitaker Road, offers a family-friendly maze, a special trail for families with young children, farm-related activities, a hay slide, a zipline and more. The farm will donate $3 to High Plains Food Bank for every admission purchased between Oct. 14 and 16. Admission is $10 (plus tax). Hours are 2 to 7 p.m. Fridays and Sundays, and 10 a.m. to 7 p.m. Saturdays. Call 806-346-5677. Looking for a racy night? Magic Men Live will hit town for a 9 p.m. Saturday show in the Globe-News Center for the Performing Arts, 500 S. Buchanan St. The show takes inspiration from the Magic Mike movies, host and creator Myles Hass told me. Tickets are $25 to $80, plus fees. The Kwahadi Indians will stage its Indian Summer performances at 7 p.m. Saturday and Oct. 15 at the Kwahadi Museum of the American Indian, 9151 E. Interstate 40. Tickets are $5, including museum admission. Call 806-335-3175. Shanna Peeples, the 2015 National Teacher of the Year, will speak for Buff Allies at 7 p.m. Monday in Legacy Hall inside the Jack B. Kelley Student Center at West Texas A&M University. Fear into Faith: On Being a Reluctant Role Model will delve into Peeples' challenges and experiences as a lesbian teacher. The event is free. Author Jamie Ford, whose Hotel on the Corner of Bitter and Sweet is this year's Common Reader for Amarillo College, will discuss the book at 7 p.m. Tuesday in AC's Ordway Auditorium on the Washington Street campus. I interviewed Ford last week; check it out here. Cowboy Mounted Shooting Association will hold its world championship competition Wednesday through Oct. 15 in the Amarillo National Center on the Tri-State Fairgrounds. Admission is free. The event features cowboys riding in a timed event using two .45 caliber single-action revolvers, each loaded with five rounds of specially prepared blank ammunition that can pop the balloons they’re aiming for from up to about 15 feet away. Call 806-376-7767. ​Mikaila Ulmer, an 11-year-old lemonade entrepreneur, will headline the annual GiRL Power event at 5:30 p.m. Oct. 13 in the Amarillo Civic Center Complex Grand Plaza, 401 S. Buchanan St. Ulmer was featured on ABC's Shark Tank and earned an $11 million deal with Whole Foods to sell lemonade sweetened with honey in an effort to save bees. GiRL Power, hosted by the Laura W. Bush Institute for Women's Health, is designed for middle school girls and their mothers (or other important women in their lives) to engage in efforts to improve self esteem, physical activity, nutrition, internet safety and communication. Admission is $5. Call 806-414-9943. Discovery Center's Top Secret: License to Spy continues its focus on the science and technology of spying and espionage through Jan. 8. Hours are 9:30 a.m. to 4:30 p.m. Tuesdays through Saturdays (and Mondays during Amarillo Independent School District holidays) and noon to 4:30 p.m. Sundays. Admission is is $11 for adults or $8 for children 8 to 12, students age 13 to 22, military and seniors. Call 806-355-9547.